Have you noticed that there has been a distinct lacking of romantic comedies of late? A few years back, we couldn’t move for wish fulfilment tales of women finding the perfect man but with hilarious consequences. Nowadays, the “chick flick” has moved on to women behaving badly, as seen in films like Bad Moms and Girls Trip. 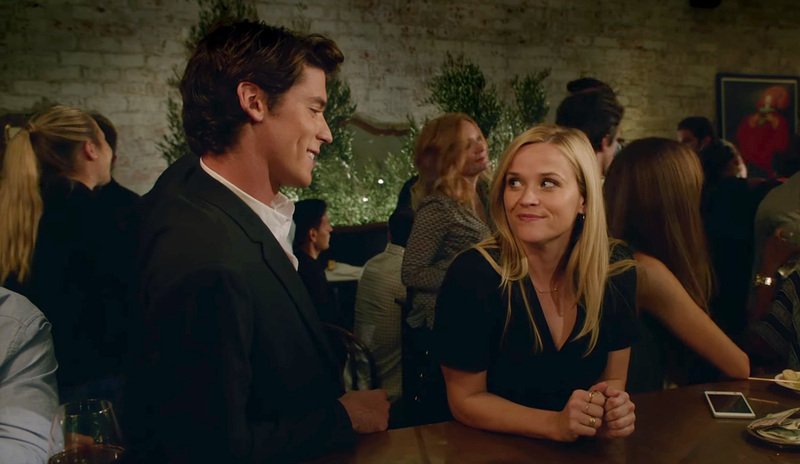 Thank the world, then, for Reece Witherspoon to save the genre. 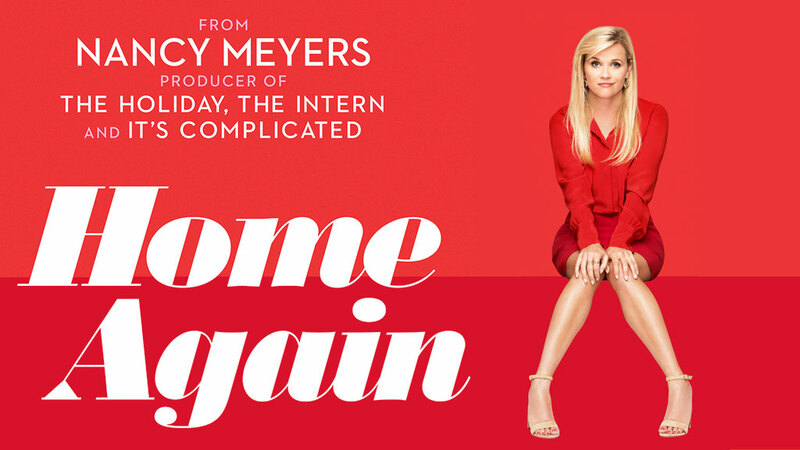 After proving her weight in some serious roles, she’s back in the genre that made her famous with Home Again. Alice is just turning 40 and has moved back to LA with her two girls to live in her father’s house. One night, while out celebrating her birthday, she meets up with three wannabe filmmakers. They need somewhere to stay so they end up in her guesthouse. The trouble is, they all have an eye for Alice. Her houseguests also cause her husband, Austen, who she has separated from, to come running to her from New York, for fear of losing her. Written and directed by Hallie Meyers-Shyer, the daughter of Nancy Meyers, who gave us The Holiday, Father of the Bride and Private Benjamin, this follows the story of a woman who seems to have the perfect life, the perfect children, the perfect house and the perfect situation, being admired and surrounded by young 20-somethings, yet she doesn’t seem content. Unfortunately, this makes the whole film seem a little twee and as you watch Alice battling with her morals and trying to construct and even more stable existence for her daughters (quite frankly, she doesn’t have to try too hard) you feel no sympathy whatsoever. Home Again comes at you like an old 80’s sitcom. It feels safe. Even though he may have an air of sexual tension running through it, you know that it’s never going to be more than a few passionate kisses and a hint that there is bedroom action but you would never see it. You know that the three young men, who stay at her house, in an extremely contrived manner, are going to be perfect young gentlemen, who are kind and thoughtful, willing to help around the house, help with the children while never taking advantage of the hospitality. Having sat through so many comedies about drunkenness and behaving extremely badly, this feels somewhat dated. There are even attitudes which seem stuck in the distant past like pink is for girls and Alice is so helpless she needs a man to fix a cupboard, even though she is supposed to be an interior designer! The jokes, then, aren’t as fast and as hard as they could be. There are some amusing moments but never to the extent of a belly laugh, more like a smile and a nod of the head. Thankfully the screen charisma of its star pulls the whole thing through. Witherspoon is a likeable presence to make it somehow work. She is a good enough actress to give the emptiness of the material some weight and you do find yourself rooting for her, even though she really doesn’t need any rooting at all. Michael Sheen also brings more to the table than this really needs, as her ex-husband. As for the three men who enter her life, their performances range from fine to totally wooden, with the latter being the handsome one wanting Alice’s attentions more than the others. Home Again is a perfectly fine little comedy whose ambitions are nothing more than to be a slice of entertainment and I did find myself coming out being less annoyed with it than I have with other wish fulfilment comedies of this kind. Yet it did feel dated in its attitudes and its general set up and maybe we have seen the death of this kind of comedy for women. There is still a place for it, just maybe it needs to be edgier now.